Ford recently declared its intention to offer electrified versions of every model in its lineup. And it's wasted little time in making good on its promise, revealing a slate of new hybrids at a special event in Amsterdam. We'll just have to wait and see which of those battery-packed vehicles will make their way back to our side of the Atlantic. 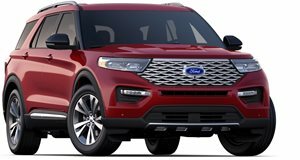 At its Go Electric extravaganza yesterday, Ford's European division showcased not only the new Kuga (Escape) crossover with an array of hybrid options, but plug-in hybrid versions of the Explorer and Transit as well. Launched for the European market, the new Explorer PHEV packs a 3.0-liter EcoBoost V6 paired with an electric motor and a ten-speed automatic transmission to deliver a combined 444 horsepower and 619 lb-ft of torque – making it significantly more potent than the performance-oriented Explorer ST. European customers will even be able to get it in sporty ST-Line trim (in addition to the more upscale-oriented Platinum version), and it'll go fo 25 miles on electric power alone. Alongside it, the Blue Oval also revealed a plug-in version of the Tourneo Custom – the passenger van sold in America as the Transit. As you might have guessed, the eight-passenger Tourneo Custom Plug-In Hybrid gets a smaller engine than the Explorer. Ford hasn't said just how much power the minuscule 1.0-liter EcoBoost three-cylinder engine and its paired electric motor will produce, but it's said to be able to go for 31 miles on electric power and ten times that distance with the range-extender kicking in. In addition to the plug-in Explorer and Tourneo, Ford of Europe is also offering the Kuga with three levels of hybridization, as well as mild-hybrid versions of the new Fiesta and Focus, and full-hybrid versions of the Mondeo (Fusion) sedan and wagon. 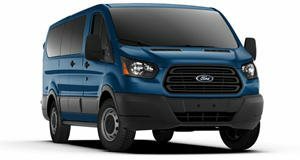 There'll also be a fully electric version of the Transit to follow. But the model we're really looking forward to seeing is the Mustang-inspired electric performance crossover, previously known as the Mach 1, which has been confirmed to launch sometime next year with a 370-mile range.